Okuda subscribes to a purist, Zen-oriented approach to the instrument. He cuts bamboo in the hills and crafts his own flutes, which remain as natural and unworked as possible—no lacquered bore, no inlaid mouthpiece. This type of shakuhachi is called hocchiku, and the sound is fragile and intimate, a world away from the full, projected sound of the concert hall performer. 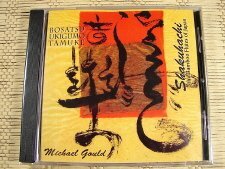 Master shakuhachi player and performer Michael Chikuzen Gould offers a wonderful array of pieces on this excellent CD. Very inspiring for those who are practicing Zen honkyoku. 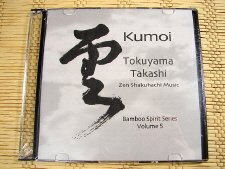 Contents of this CD include: 1) Bosatsu: Diety of Compassion, 2) Ukigumo: Floating Clouds, 3) Tamuke, 4) Daha: Striking Waves, 5) Sokkan, 6) Nezasa Shirabe, 7) San Ya: Three Valleys, 8) Honshirabe: Basic Melody, 9) San An: Prayer for a Safe Birth. 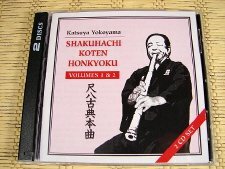 Katsuya Yokoyama is one of the greatest masters of the shakuhachi in Japan today. 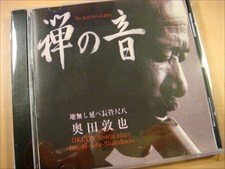 He was born in Shizuoka Prefecture in 1934 and studied Kinko-ryu and Azuma styles of music with his father, Rampo Yokoyama, and grandfather, Koson Yokoyama. 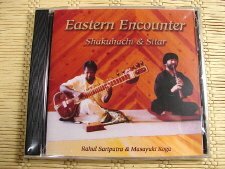 The music on this recording includes two improvisations featuring Masayuki Koga on shakuhachi and Rahul Sariputra on sitar.